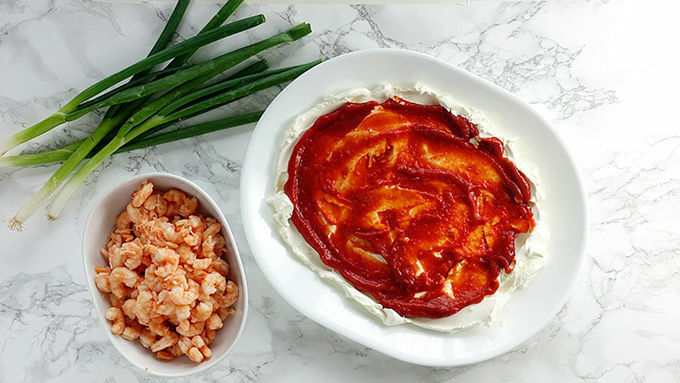 Spread cream cheese on bottom of a large serving plate. 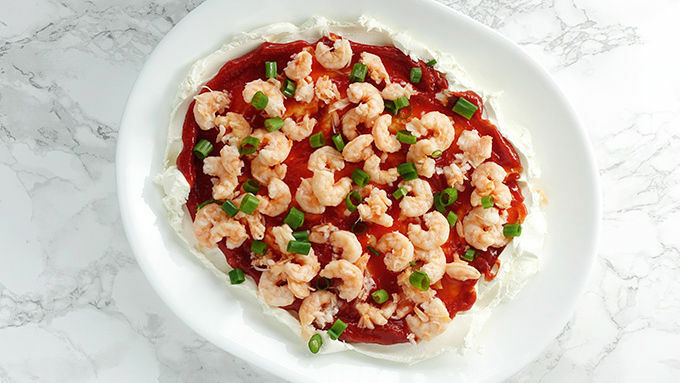 Top with shrimp and sprinkle with green onions. Spring is here and that means that summer is on it’s way. I dunno about you, but I’m always looking for creative new ways to chill out by the pool, margarita in hand, a bowl of crackers or chips, and something cheesy and creamy to dip. Margaritas, chips, dip. That’s the summer trifecta right there. This summer, I’d like to keep things on the easy side. 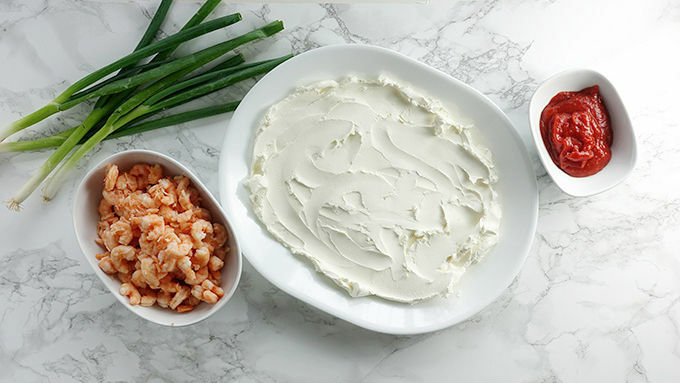 I took a little inspiration from 7 layer dip, did a little math and subtracted 3 from 7 to end up with this fabulous little 4 layer shrimp dip. It’s cool, it’s creamy, and it’s covered in tiny little shrimp. What could be better for dunking a cracker or tortilla chip into? 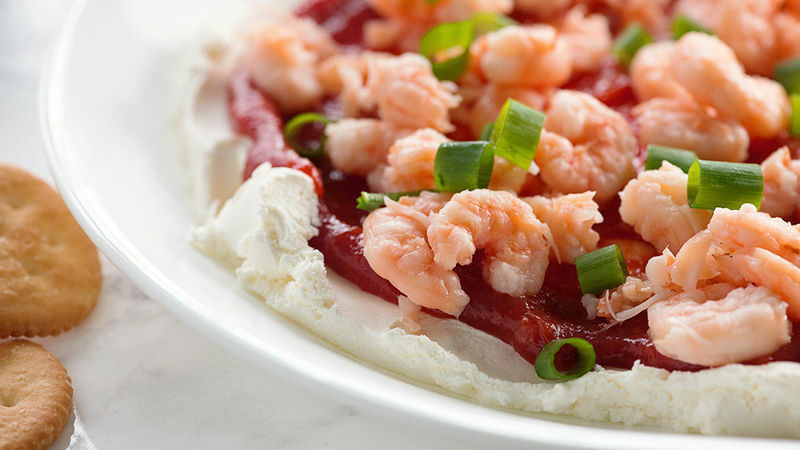 You’re going to need cream cheese, cocktail sauce, small shrimp, and green onions. I used shrimp from a can, because I wanted to keep things as simple as possible. You do you. I used two 4 ounce cans, but you can add as many or as few as you like. This is so easy, you could make it in your sleep!